After finishing the 2014 Major League Baseball season in last place in the American League East with a record of 71-91, the Boston Red Sox had high hopes entering 2015. This past off-season, Red Sox general manager Ben Cherington signed free agent outfielder Hanley Ramirez and third baseman Pablo Sandoval to team with veterans in the Boston lineup such as designated hitter David Ortiz and second baseman Dustin Pedroia as this organization was looking to get back to the postseason. But the Red Sox haven’t been able to find cohesion as they’ve been fighting an uphill battle all season long. The Red Sox have not been above the .500 mark since early May and after getting swept in a four-game series to start the second half of the season by the Los Angeles Angels, followed by a loss last night to the Houston Astros, Boston currently has a record of 42-52 and they appear to be sinking fast. The Sox are 10 games behind the first place New York Yankees in the AL East and they are 9.5 games behind the Astros for the final wild card spot on the junior circuit which means that with the MLB trade deadline looming next Friday, Cherington must decide whether or not that it is time for Boston to throw in the towel as far as the 2015 MLB season goes. The Red Sox found themselves in a similar situation last year. After winning the World Series Championship in 2013, the Red Sox were never able to get on track last season and thus they decided to have a clearance sale. But over the winter, the Red Sox weren’t a player or two away and now it might be time for Cherington to go back to the drawing board in order to simply rebuild which is a term that the folks in Boston that follow this team might not want to hear, but they need to get accustomed to it. Ortiz has been the longtime Red Sox designated hitter and he will be 40-years old this winter. And in spite of the fact that Ortiz still has some power in his bat, you can’t expect him to be the player that he was five years ago. Ortiz is batting a career low .233 this season, but he has 16 home runs and 45 runs batted in. Ortiz has helped the Red Sox win three World Series Titles as he is one of the most beloved figures in Boston sports history. Ortiz has 482 career home runs and I don’t see him calling it a career until he reaches the 500 mark; especially since he has a $10 million option for each of the next two seasons. And when Ortiz does decide to call it a career, he will be tough to replace in the Red Sox clubhouse due to the fact that he has been the heart and soul of this club for a very long time. Aside from Ortiz, the Red Sox have a veteran laden lineup that includes first baseman Mike Napoli and outfielder Shane Victorino who could both become available at the trade deadline. And at this point the Red Sox are a team that must get younger and not entertain the thought of another potential quick fix. The Red Sox are dead last in the American League in team earned run average with 4.50 as they lack a front line starter as their rotation has been kept together by spit and glue. And with Detroit Tigers starting pitcher David Price and Cincinnati Reds starting pitcher Johnny Cueto set to become free agents this winter, Boston could make a run at either pitcher or both. But in the mean time, the Red Sox are stuck with a starting rotation consisting of the likes of the injury prone Clay Buchholz, Wade Miley, and Rick Porcello. This season Porcello is 5-10 with a 5.79 earned run average and to make matters worse, the Red Sox gave the struggling pitcher a four-year contract extension worth $82.5 million this past April. But unlike most Major League Baseball teams, the Red Sox have the ability to eat a bad contract like that of Porcello’s in order to give themselves the chance to pursue star players. The Red Sox lineup has been a middle of the pack club as far as most statistical categories in the AL, but they are 11th in runs scored with 383. And once you factor in the struggles of the Red Sox pitching staff this season, it is no wonder why this team is under .500. It was an interesting signing by Cherington of Sandoval due to the fact that the Red Sox current third baseman was always a “system” player with the San Francisco Giants. This season Sandoval is batting a career-low .263. And being that Sandoval has never been a consistent power hitter (except for his three homer performance in Game 1 of the 2012 World Series), his joining the Red Sox was a head scratcher at best as he appears to be one of those players that is content with getting his $100 million over the next five years. Going forward the Red Sox do have a nice infield combination of Pedroia and shortstop Xander Bogaerts who is only 22-years old as he is coming into his own as he’s batting .311 which is tops on the team this season. But the Red Sox appear to have missed on outfielders Mookie Betts, Rusney Castillo, and Jackie Bradley Jr., who can all play solid defense, but they have struggled at the plate. 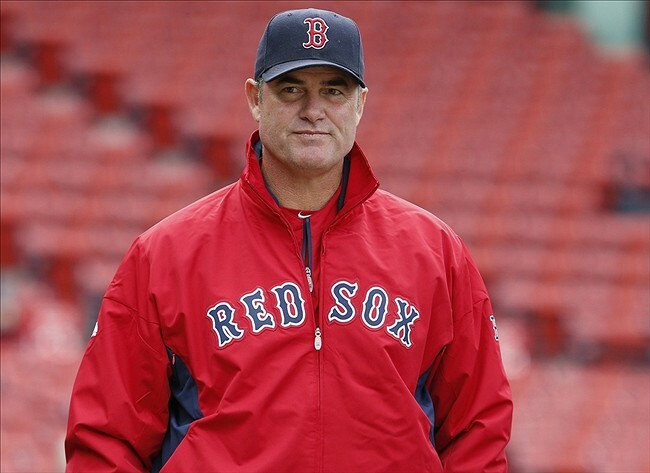 John Farrell is in his third season as the manager of the Red Sox. And where Farrell was brought to Boston in 2013 to be a breath of fresh air to replace former Red Sox manager Bobby Valentine which he was by tasting World Series glory that fall, things have gone sour since then as a last place finish this year would mark the first time that this has happened to them in consecutive seasons since 1930. Farrell got the most out of veteran club in 2013, but the Red Sox got old really fast. And as this year’s Red Sox team appears to be held together by spit and glue, a short team solution isn’t going to bring them long term success.